I got to cosplay a video game character for the first time! 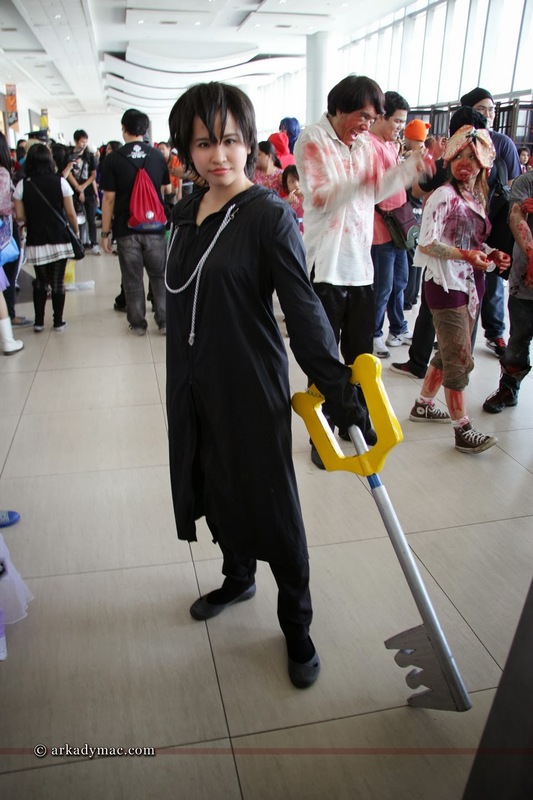 Last Cosplay Mania, I graced the event as Xion from the video game Kingdom Hearts. This character was suggested by my friend Reeve. He said that Xion and I have the same face shape so it will be a good fit. 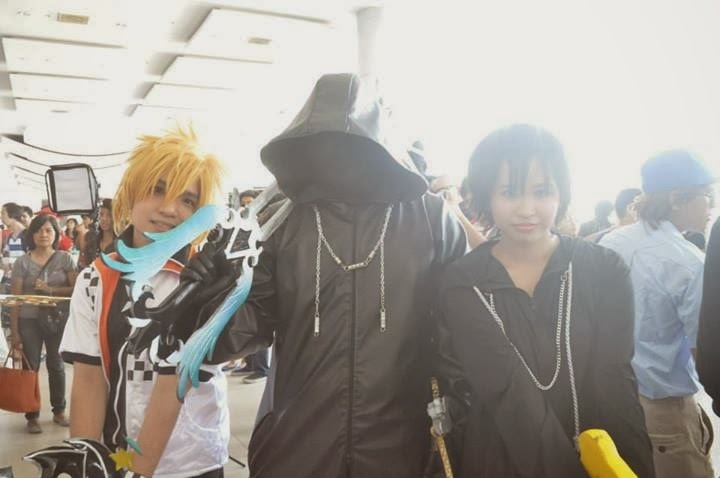 He convinced me further by saying that he will lend me his Organization XIII costume and Keyblade. So I decided to give it a go, as it would be good practice to cosplay a character from a game genre instead of an anime. Just when I thought that it would be easy, I came across the first stumbling block. How would I do a study about a character on a video game that I don't know? Luckily there was Wikipedia But the story is so broad and complex that one article is not enough to fully understand the game. Actually, there are separate articles about the plot, characters, weapons, etc. Oh! What a complex world Kingdom Hearts is! Good thing there's YouTube! 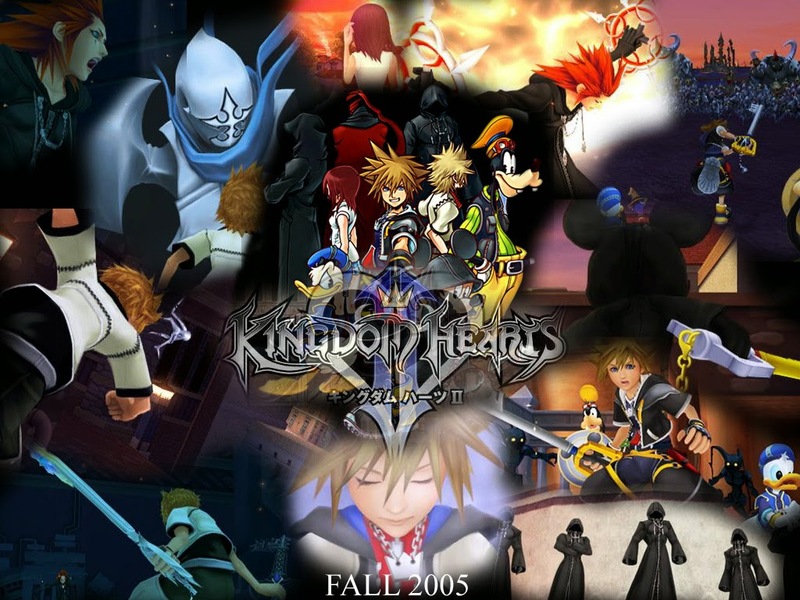 There is a summary of the whole Kingdom Hearts story. There are also cinematics which helped me understand the game better. From what i have read and watched, I developed a better understanding of Xion, her character, purpose, and her tragic end. 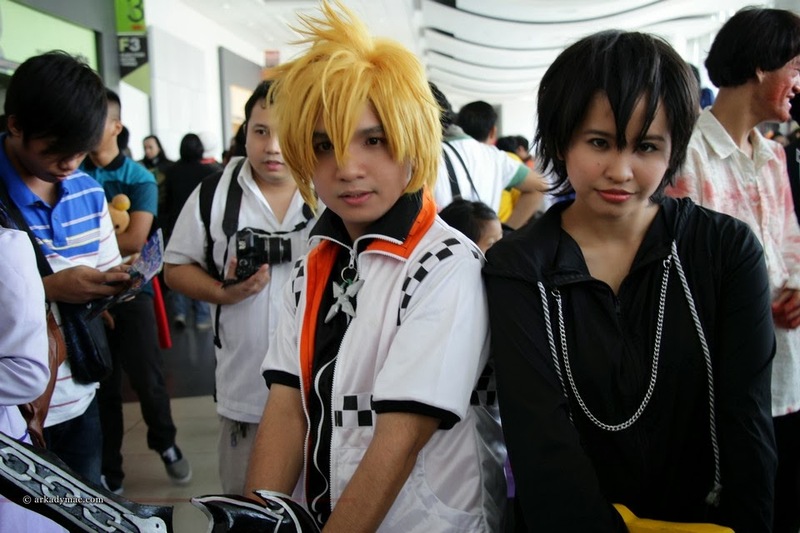 She is a replica of Roxas' memories and she technically does not exist. But she is real. That is her paradox. She may have appeared shortly in the game but her character was very complex. However, I am glad that despite her tragic circumstances, Xion still has the courage to smile. I love characters who can be cute and can then be serious in battle mode. But just like my Rei Ayanami cosplay, I found difficulty in projecting the "I exist but I am not here" aura. But Xion is easier to potray as she has a personality that is easier to grasp. 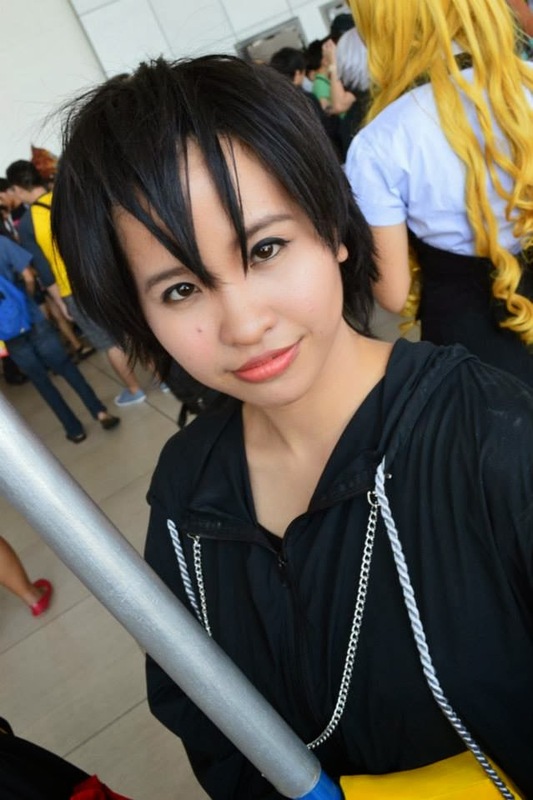 So here is me, Angel Mariel, as Xion of Kingdom Hearts. Photo credits as tagged. 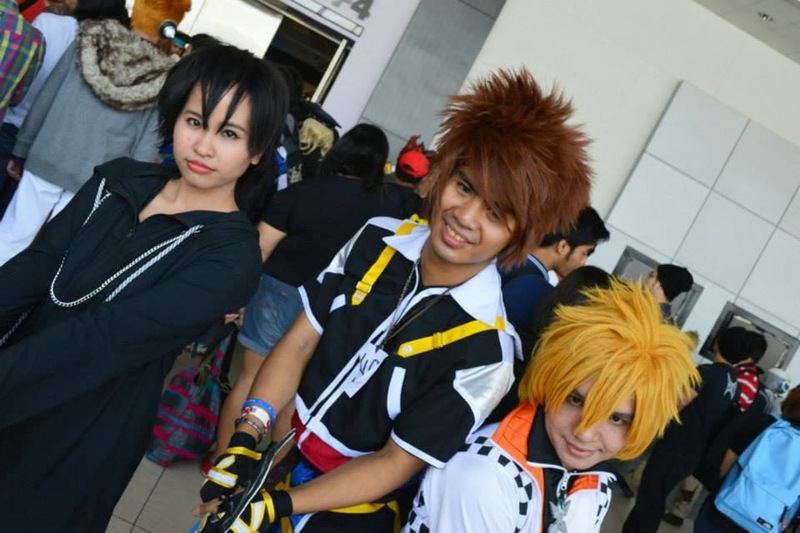 Cosplay Mania 2013 allowed me to interact with other Kingdom Hearts cosplayers, too! Yay! It's my first time portraying someone who I really didn't know from the start. 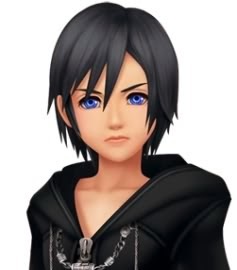 After a thorough character study, I have developed a liking to Xion. Because of this cosplay, I have learned to take into consideration the character's face and body type, too. Special thanks to Reeve for introducing me to her and to the wonderful world of Kingdom Hearts. Now, let me get my own costume, wig, keyblade... and oh...a Nintendo DS!